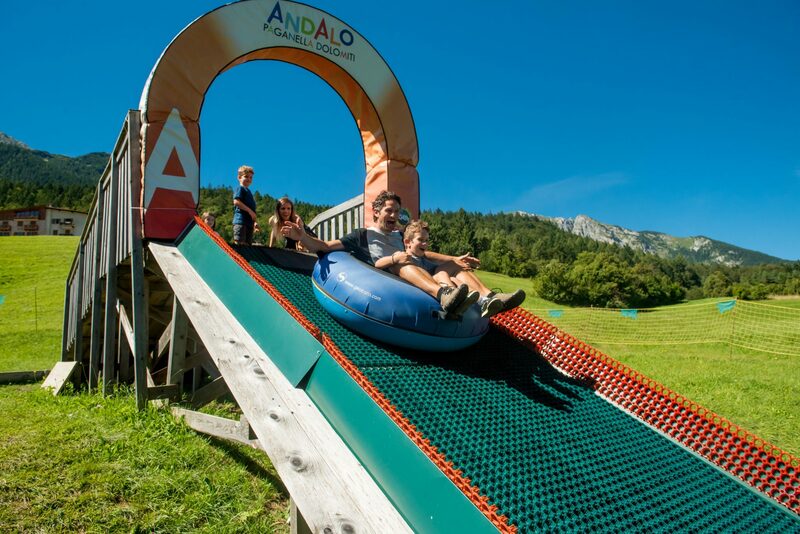 A great deal of attention is given to our little guests, who can have fun in our Mini Club or take part in the numerous other activities in Andalo. 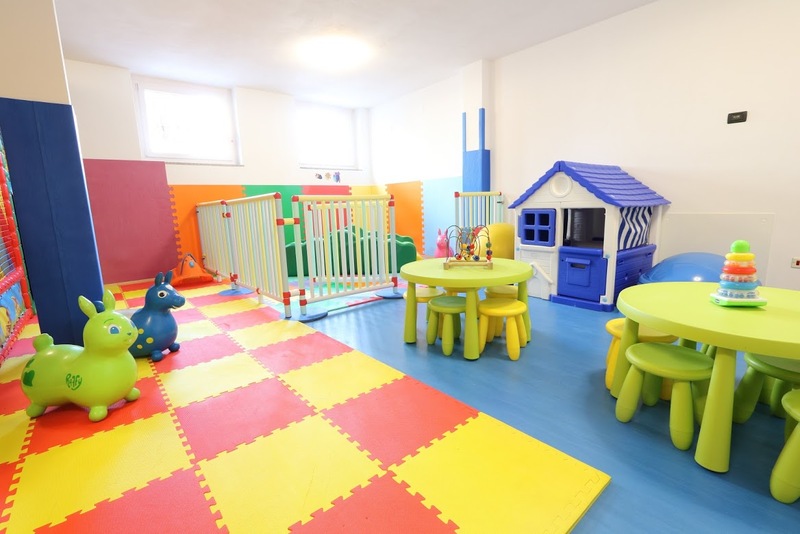 In our fully-equipped Mini-Club game room children can take part in hand craft works, games and other activities. At 16.30 a snack with home-made sweets wil be served. Fun continues after dinner with babytime entertainment and group games. 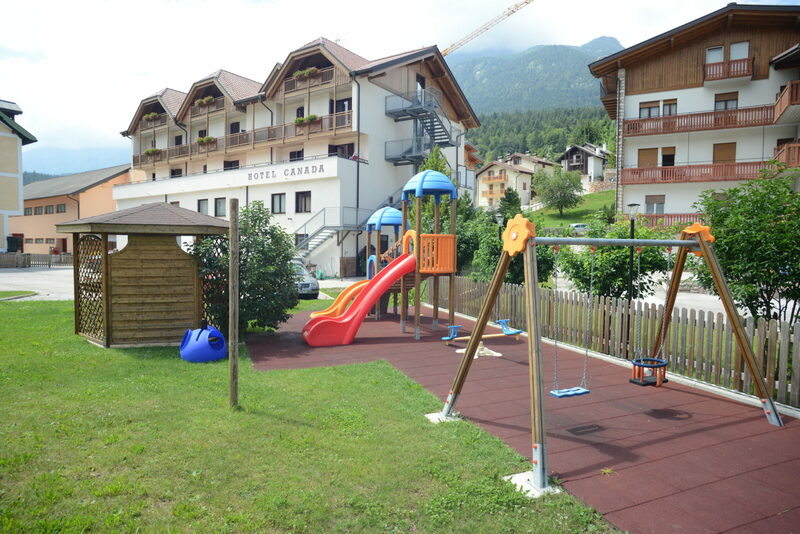 In the Park area of the Hotel there is a playground for out-door entertainment. BABY PARK DOSSON (alt. 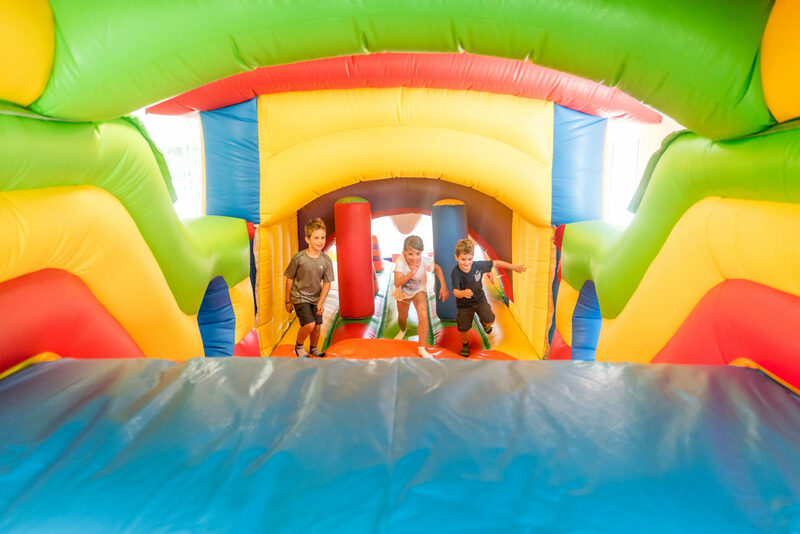 1480 asl): outdoor area with inflatables managed by a fantastic entertainment team that will make all children play and have a lot of fun. KIDS GAGGIAPARK & BIBLIOIGLOO library igloo (1,333 metres a.s.l. 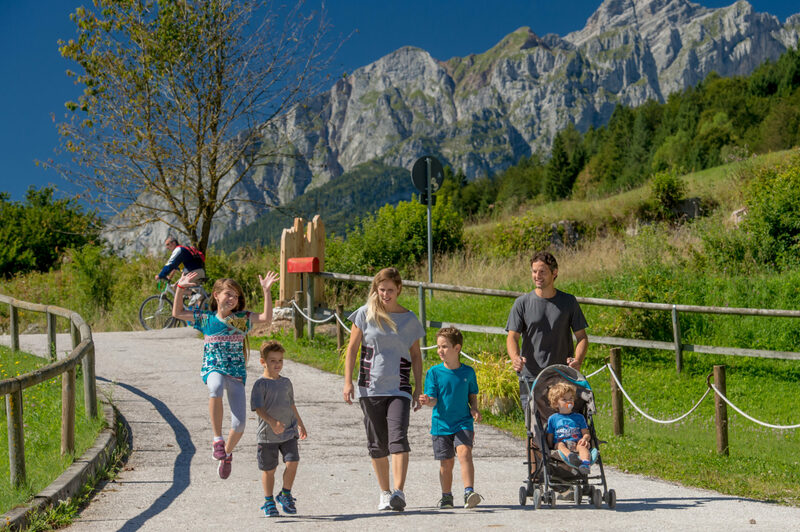 ): A mountain library with books for children, teens and families, and much more: here children can also make new experiences with the “CULTURE-ART and NATURE” workshops. And then… let’s go for a slide on the rubber dinghies! 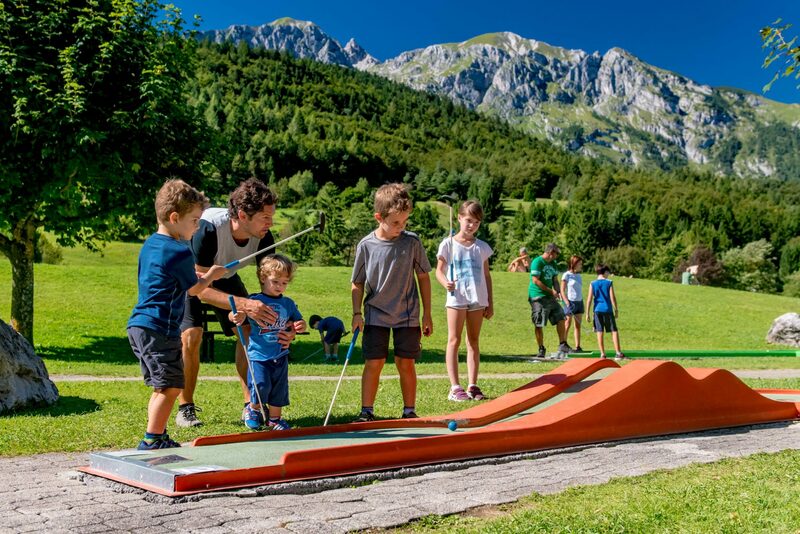 MASO EFFO (in town) located in a new facility of the Andalo Life Park, it is a large area for children of all ages. 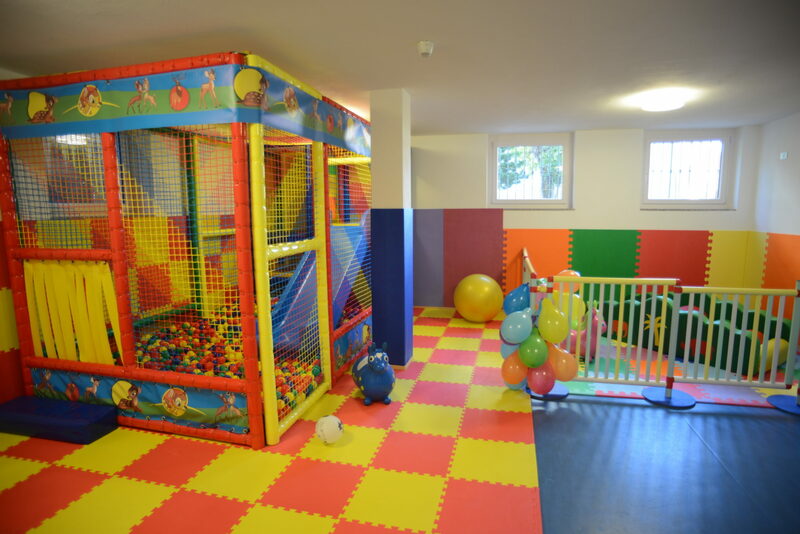 Inside children will find a 20-metres long train-shaped inflatable, a “soft area”, a kids’ climbing wall, a small indoor five-a-side football pitch and the Legoland playing area.